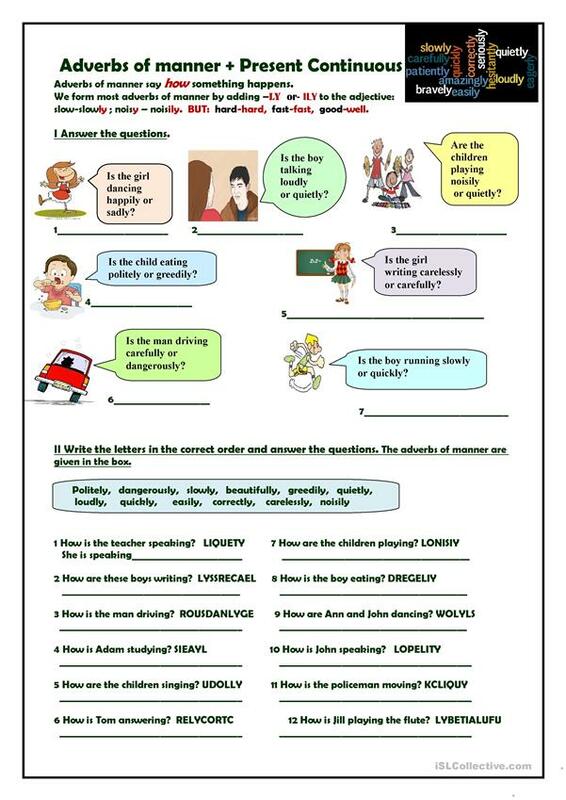 This is a simple worksheet for teaching or revising adverbs of manner and Present Continuous . It consists of a brief grammar explanation and two exercises. Hope you will like it. The above downloadable worksheet is intended for high school students, elementary school students and adults at Elementary (A1) and Pre-intermediate (A2) level. 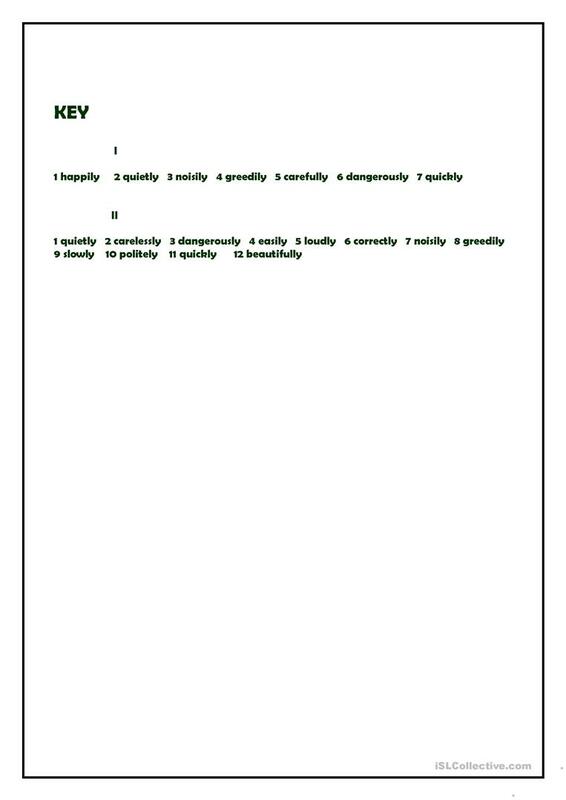 It is great for practising Adverbs, Adverbs of manner and Present continuous (progressive) tense in English, and can be used for working on your learners' Spelling, Speaking and Writing skills. It features the vocabulary topic of Actions, Describing people, Feelings, emotions, People and Personality and character. The answers are provided, too. tantana is from/lives in Russia and has been a member of iSLCollective since 2012-11-28 17:09:54. tantana last logged in on 2019-04-25 16:34:16, and has shared 260 resources on iSLCollective so far.